All of us, all our Dubai staff, are standing around in silence in the reception of our office. We put up the plaque our HQ gave us. 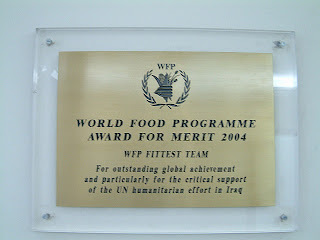 “WFP FITTEST team – Dubai. Award for Merit 2004. For their outstanding global achievement and particularly for the critical support of the UN humanitarian effort in Iraq”. Each of us are in thoughts. It seems weird how in a split second zillions of thoughts and images can flash through your mind. As we are standing in front of the plaque, I think of M. Her face comes before my eyes. I hear her laugh. Would she have felt pain? Fear? Regrets? Or would it all have gone in a flash? Like a switch. Switching off life. Done. Over. And then? If you have lived through a number of humanitarian emergencies, worked long enough in relief operations, you start to develop a sixth sense. It was this sixth sense that helped us deciding to move our intervention team from Kosovo to Islamabad a few years ago. We sensed that at a certain moment the US would retaliate against the Taliban. Basing our team in the middle of Central Asia would allow us to prepare the region for a possible humanitarian emergency if the US would take military action in Afghanistan. I told Tine just before I left home: “I do not have a good feeling. The stars are not right. Something is up.” That feeling was in sharp contrast with the one month holiday off the beaten track in Hawaii we just had. But the sixth sense was there, with big warning signs. It did not take weeks. It took days. We saw them arriving at the hotels in Islamabad. All the international camera crews, with their equipment loaded onto rental cars. Setting up shop on the roofs of the hotels. All the well-known anchor people from the main broadcast stations started to report from Islamabad. The media often is one step ahead of the military. Only one step. Several months later, the Taliban was beaten, Bin Laden was on the run, and Afghanistan was ‘liberated’. I just ‘knew’ Iraq was going to be next. No matter what the world’s opinion was going to be, I felt the US was going to attack Iraq also. Richard and I spent a nice evening in one of the open air restaurants in Baghdad. Even though it was close to midnight and pretty cold outside, there were plenty of people still walking around. I loved the people there, the feeling the whole setting gave me. They were friendly, helpful, many of them very well educated. Never a harsh word. As we were walking the streets that night, people smiled at us, often to say ‘Hey habibi, how are you? Where do you come from? What do you do?’. When we would start talking to them, the subject of children and family would always come up. No matter where people come from, the love for their close ones always seems to be the main thing on their mind. We felt safe, almost at home, without the slightest sense of fear or insecurity. We were amongst good people. The first UN weapon inspectors had arrived earlier that day. We saw them dragging up boxes with their equipment into Canal Hotel, the UN Headquarters in Baghdad.. Somewhere I knew that it was all going to be in vain. The US had already made up its mind: ‘Saddam had to go’. Even if the weapon inspectors would not find any weapons of mass destruction, any excuse was going to be good enough… After all, Iraq had oil. I could just see all the human misery a US invasion in Iraq would cause. And the anarchy, the violence that would follow. I imagined those peaceful streets of Baghdad in flames, shooting, bombing. I could see all the friendly, loving people, with eyes, filled with hatred. As I closed the door of my apartment, on my way to work, I stopped for a moment. Something was not right. Something was different that morning. I could hear the television sets from my neighbours. Different languages, agitated voices of the reporters. It was an awkward sound. My heart started to beat real fast. I went back into my apartment, switched on the TV, and sat down. Images of helicopters, tanks, military convoys, crossing the border from Kuwait into Iraq. I picked up the phone and called Gianluca, in our HQ in Rome. It was still very early in Europe, he was still asleep. ‘Gianluca, switch on your TV. It has began. The invasion has began’. 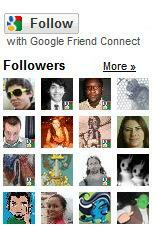 I met M. in Cyprus several times. She was working for another UN agency. By coincidence, we had the same travel itinerary, and spent several days on the road together: flying from Cyprus to Jordan, then driving into Erbil in North Iraq and a few days later flying to Baghdad. We talked a lot. Work, people we met in the past, our hobbies, adventure traveling, what appealed to us in this world, in people. The last time I saw her was one evening in Canal Hotel, Baghdad. For security reasons, the movement of our staff in town was restricted, and we all lived on the large office compound. A couple of guys had put together a barbeque in the parking lot which by then was filled with sleeping and storage tents. As I was walking back to my room, M. was walking towards the barbeque area. She had a strange look in her eyes. She hesitated for a moment as we were passing eachother. I remember I stood still for a moment, wondering what this look was about. I told her I was leaving for Dubai the next day.. I can not remember if she said anything, as we gave three kisses on the cheek. Maybe we did say something. Some pleasantries like ‘see you whenever I see you again!’. A few weeks later, I received a message from her. Some stuff about work. She had decided the Iraq mission was going to be her last. In September she would quit and do something different. Enough of this type of work. It has been a good road, but this road had come to an end. The last sentence in the Email did not make much sense to me. It was about us meeting again. That it would mean a lot to her, that she would like to talk to me. Sometimes a lot of things happen, and it is difficult to pinpoint what they really mean, to make real sense out of a string of signs. But then something small happens, which causes all the rest to make sense. Now I understood the look in M.’s eyes the last evening in Baghdad. That last sentence in her Email. I sent her an Email that I was coming over to Baghdad before she left, so we would sit together and talk. I had a long chat with Robert, our project coordinator in Baghdad. He ran the team installing the technical infrastructure for most of the UN relief agencies. Most of the conversation was about his main worry: security. He felt something was to happen, the ‘tension in the air’ was just too much. He felt some of our staff or some of our offices were going to be attacked. ‘Something bad is about to happen’, he said. I shared his feeling. I did not sleep much that night. I had a lot of my staff in Iraq and I felt very responsible for them. This was one of the saddest days in my life. Mats called me ‘Our headquarters in Baghdad was bombed a few minutes ago. A truck full of explosives flattened most of the building’. Mats and I talked with Robert in a conference call later that day. It was bad. Robert said most of our staff was accounted for, but several of them were badly injured from falling debris, shrapnel or glass flying around. Ghis had a window frame hit his head. Michael’s face was badly cut by glass. Diya was evacuated with severe cuts in his arm and hands. Dozens of people had died. The pictures on television looked horrific. I was shocked. And felt endlessly guilty. Guilty as I had recruited these people. I had sent them in harm’s way. Guilty as no matter how good the security precautions we had taken, no matter how many times we had stressed to them all to be careful, still they, the people from my team, got hurt. It cut deep inside me. I felt guilty as I was not there to help. I should have been there with them. As more details came in of the bombing, a provisional list was circulated, a list with names of those not accounted for, and those which were confirmed dead. I could not believe my eyes when I saw M.’s name on the list. M. was dead.